Building your community and learning how to localise your business when you start, is one of the fundamental aspects of being a successful photographer. Every photographer has to be able to market themselves locally and partner with other local businesses. This will enable you to build a community both on and offline. One feeds the other. Every photographer has to be able to market themselves locally and partner with other local businesses. 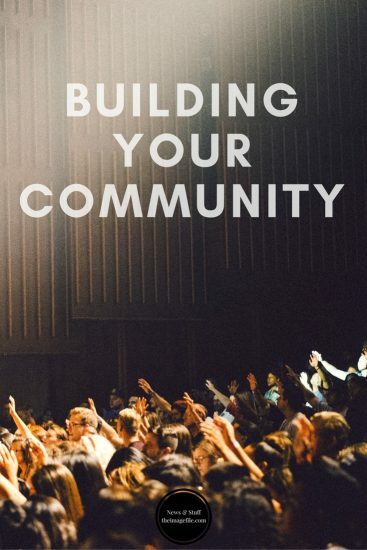 Building your community, and it could be several, will both feed your sales pipeline and also the pipelines of other businesses in your local catchment. If you are doing your job properly. What’s good for you is good for others. What are the best connections for you to be making? Weddings: This is a broad term and there are so many varieties of weddings these days. It’s hard to pin down who best to partner with. For more traditional weddings it would make sense to partner up with the best venues locally and make sure you are known to the various proprietors. Importantly, this includes meeting them. Re-posting their images and posts online. Promoting them via your own feeds. Connecting with all their communities. It’s a multi-faceted approach but it pays to keep an eye on all channels. Children: Let’s take babies for example. This is a real speciality worthy of equally-specialist partners. For example, mother-and-baby play groups or maternity yoga teachers. Access to this kind of information is unparalleled in this day and age. Drilling down to the right information is not so hard. Connecting with them on the right level. Being aware of their needs and cultures. It’s the trickier skill outside of your photography that you must master. Editorial: This is a well-trodden path by aspiring photographers wishing to see their work and name in lights in a well-known magazine or national newspaper supplement. There is no great shortcut here. Simple bloody-mindedness and a willingness to keep knocking on people’s door are the skills that will get your name and work in front of the people that matter. Email and social media make life a little easier to find the right people. Alongside really great work or course. But, if anything, more people are willing to try as a result. As with getting experience with an established photographer as an assistant, you must be prepared to work for peanuts. The other community is your end customer. The person getting married, having children or looking for that ultra-special family or couple portrait. And where do they live or spend their time? These days, much of that spare time is on social media. That’s why it is so important to invest your time on these platforms wisely and acutely. Building your community online means being part of the conversation as much as developing the conversation. Being an involved member of the chat means learning what drives people to make their choices and what interests them. Actively supporting other community members instills trust and promotes shared actions.